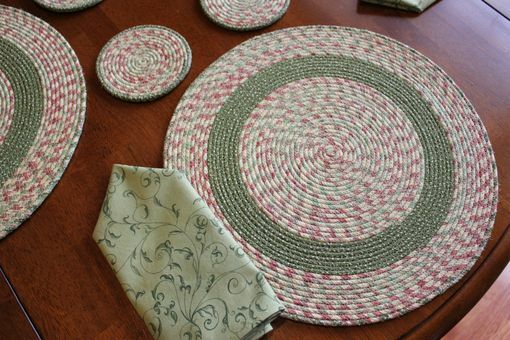 Dimensions: placemats measure 14.5 inches in diameter. 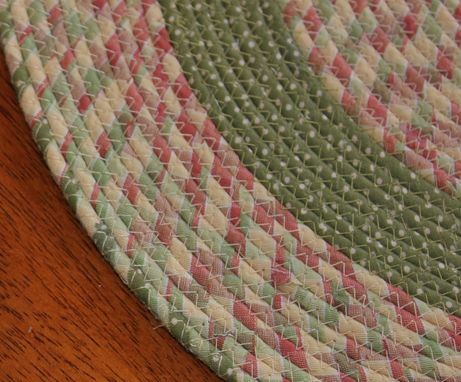 Coasters 4.5 inches in diameter. Napkins approx. 17.75 x 17.75. Colors: soft creamy yellow, light and olive green, light burgundy. NOTE: if you would prefer to see the actual fabric to make sure they fit your decor, I am happy to send a swatch of the fabrics to you. Just message me! 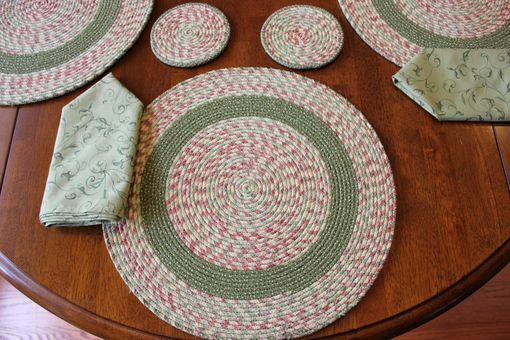 These placemat sets will last for a very long time - if not forever because of their construction. *Price span encompassed degree of detail including embellishments and lid. 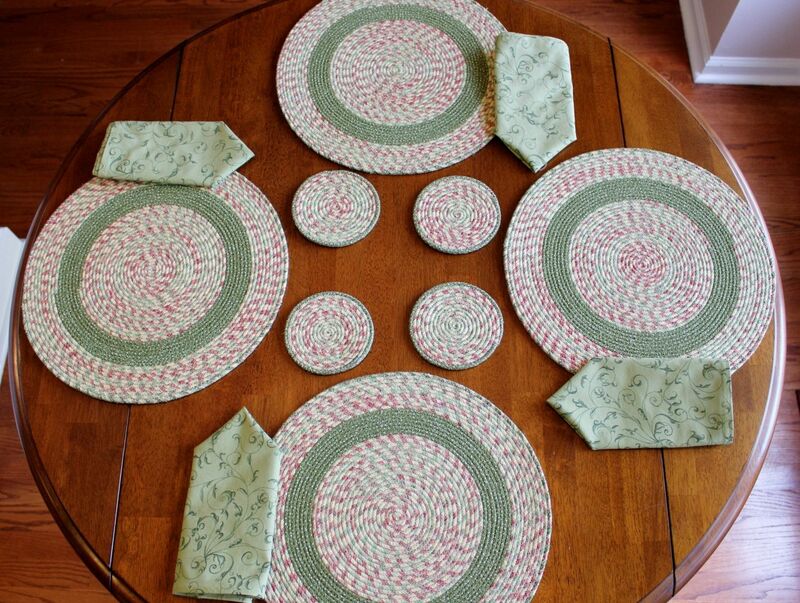 (Four piece set).